1. Merger mania: Judge Richard Leon might be the new MVP of Wall Street. 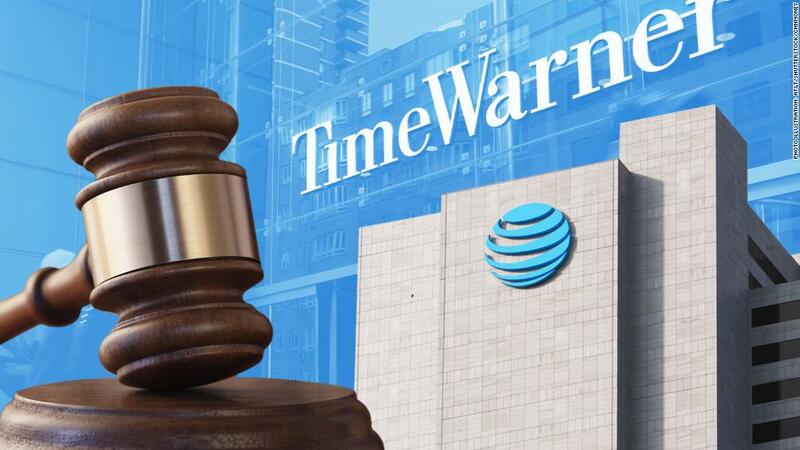 His landmark decision last week to green-light AT&T's takeover of Time Warner removed a huge cloud hanging over the M&A business. A wave of mergers could come next — deals that will generate fat fees for investment banks. Barely 24 hours after Leon's decision, Comcast launched a bidding war against Disney for most of 21st Century Fox (FOXA). The new guessing game is which of the remaining media properties will be snapped up next. "It'll be a fun time to be an investment banker, frankly," Bank of America CEO Brian Moynihan told CNBC last week. Moynihan should know. His bank agreed to help Comcast (CMCSA) raise up to $65 billion in debt to pay for its all-cash bid for Fox. If Comcast is successful, Bank of America could split nearly half a billion dollars in fees with Wells Fargo (WFC) and Goldman Sachs (GS), according to Jeff Nassof, a director at Freeman Consulting Services. Mega deals like this one are rainmakers for big banks. First, they make tidy fees arranging corporate marriages. Then they haul in even more money on the loans to pay for the transaction — as well as subsequent bond sales. "That's where you get the big fees," Nassof said. It helps that the media industry seems to go through cycles of breaking empires apart and then coming together again. Not long ago, the trend was to get smaller and nimbler. Time Warner (TWX) sold off Time Inc., and Rupert Murdoch separated his print businesses like The Wall Street Journal from his film and TV juggernaut. Now the media landscape is converging again — joining forces to survive against Netflix (NFLX), Amazon (AMZN), Facebook (FB) and others. Either way, investment banks rake in fees. M&A was already booming this year, thanks to a strong economy and a windfall of cash generated by the Republican tax cuts. Companies have plowed more than $2 trillion into acquisitions this year, according to Thomson Reuters. That's a record pace. Mergers and acquisitions in media and entertainment have spiked nearly six-fold, Thomson Reuters said. After AT&T's victory in court, Wall Street is speculating that other media companies could be in play. Shares of Discovery (DISCA), CBS (CBS) and film studio Lions Gate (LGFA) took off after AT&T's takeover of CNN owner Time Warner was cleared. It could embolden non-media mergers, too. That's because the court decision removed uncertainty over the viability of so-called vertical mergers, in which the two companies don't compete directly. Similar deals have already been made, including the $69 billion bid by CVS (CVS) for Aetna (AET) and the $67 billion play by Cigna (CI) for Express Scripts (ESRX). "The political situation was the one issue hanging over the market," Nassof said. "The recent court ruling is giving buyers a sign that everything is good to go now." That sound you just heard was bankers on Wall Street rubbing their hands together. 2. Tariff update: The Senate Finance Committee is scheduled to meet on Wednesday to discuss existing and proposed US tariffs. Commerce Secretary Wilbur Ross will speak and answer questions. He'll have a lot to talk about. On Friday, President Donald Trump announced a 25% tariff on $50 billion of Chinese exports. The trade penalty begins to take effect July 6. China announced retaliatory tariffs and accused the United States of starting a trade war. In May, the United States imposed steep tariffs on steel and aluminum from Canada, Mexico and the European Union, all American allies. They have also promised to retaliate. Big business is worried that a trade war will hurt the US economy. 3. Stress test results: Its time for banks to get the results of their annual checkup. The Federal Reserve on Thursday is scheduled to post the first results from its annual stress test, which evaluates the health of banks. The tests, put in place after the 2008 financial crisis, are designed to make sure banks are healthy enough to withstand an economic downturn. Six foreign banks will be included this year for the first time. Big US banks have had a good year. They're raking in profits, thanks in large part to tax cuts enacted last year. 4. Internet tax decision: The Supreme Court could announce a decision as early as Monday in South Dakota vs. Wayfair, a case that could force people to pay sales tax on more online purchases. Last year, states could have collected as much as $13.4 billion in additional online sales taxes, according to the Government Accountability Office. — CNN's Julia Horowitz, Lydia DePillis and Chris Isidore contributed to this report.